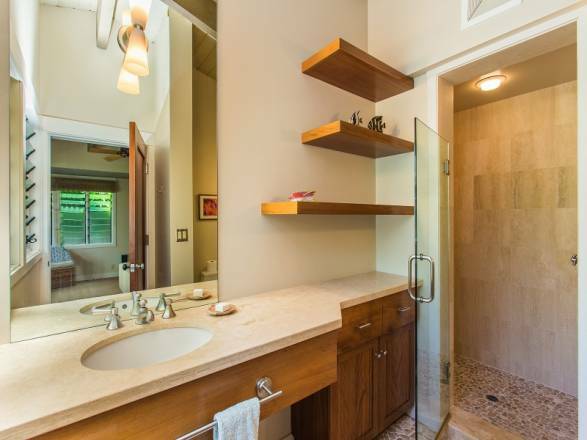 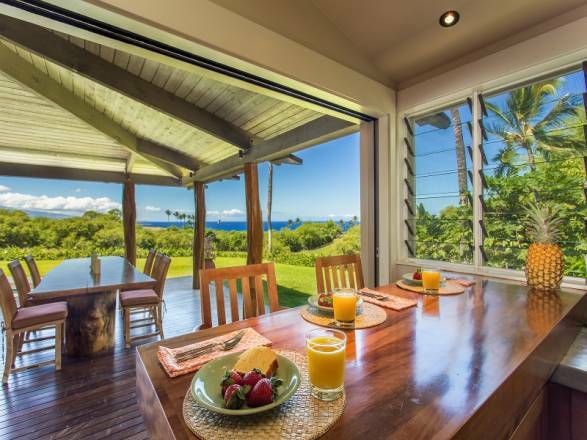 Mauna Kea Fairways South #15 – Luxury Vacation Homes, Inc. 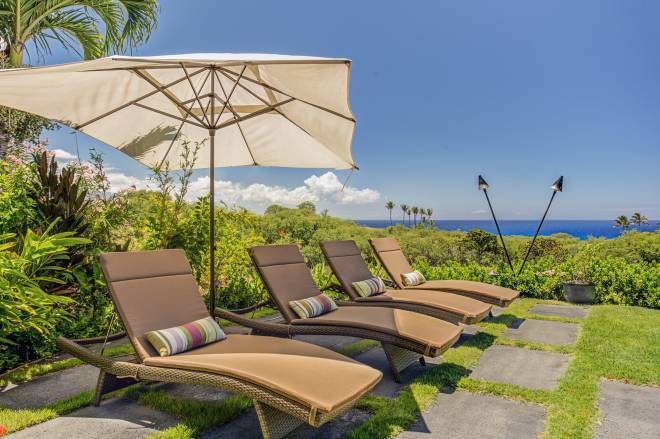 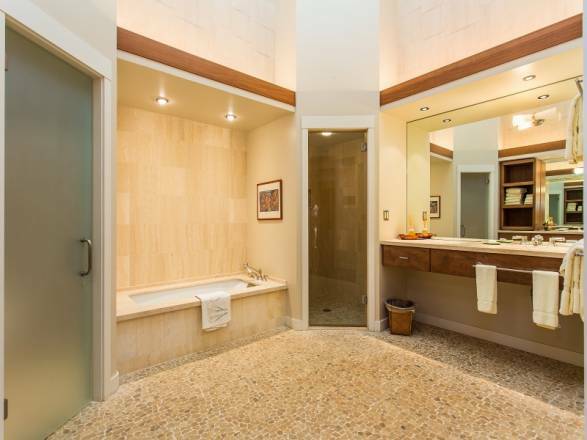 Located in the Fairways South on the grounds of the Mauna Kea Beach Hotel, this secluded enclave is the perfect place to get away from it all. 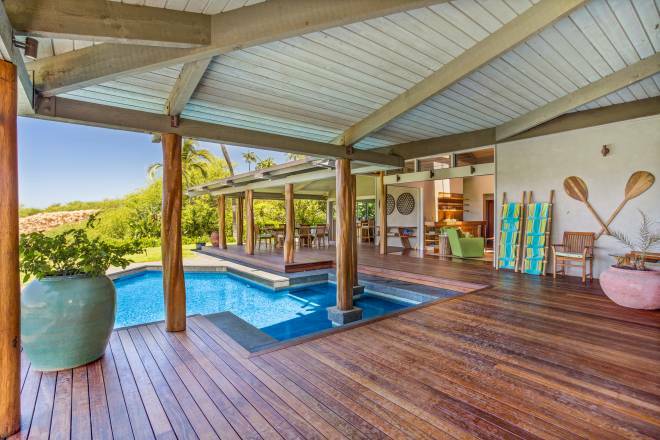 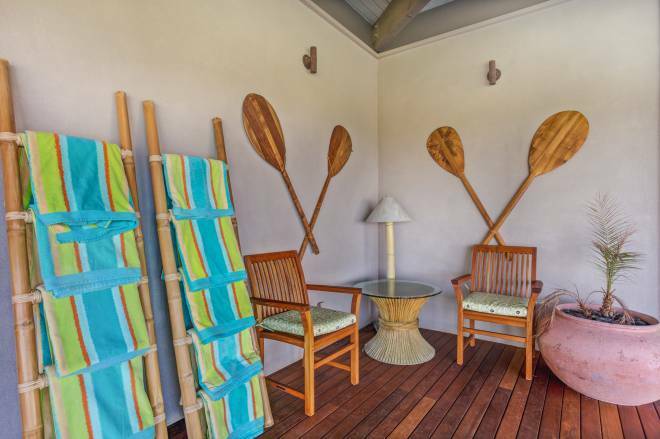 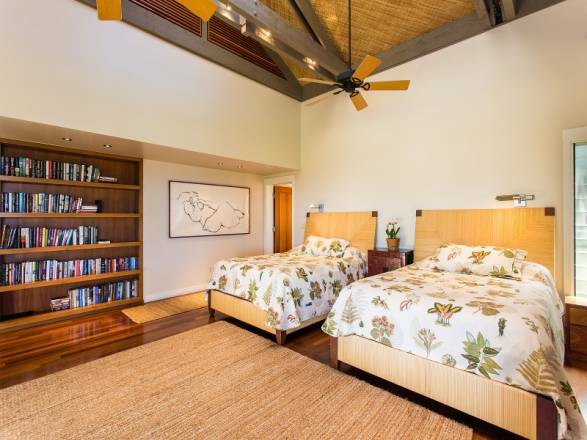 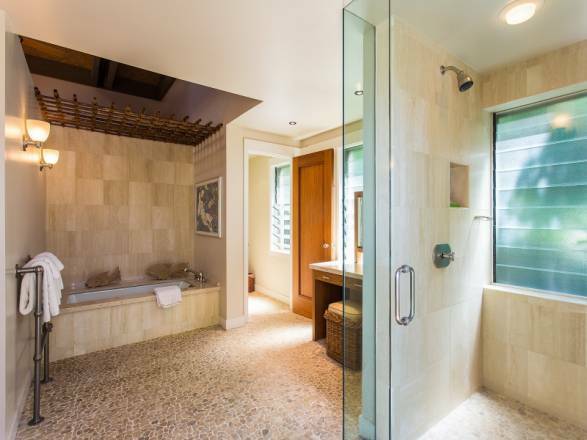 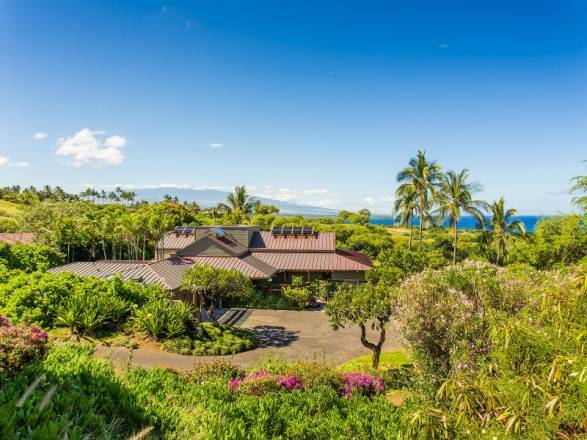 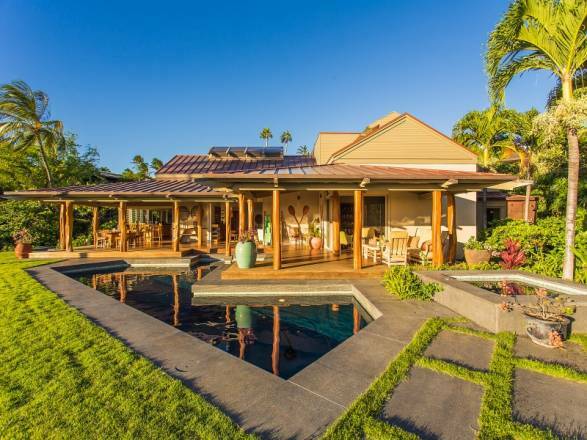 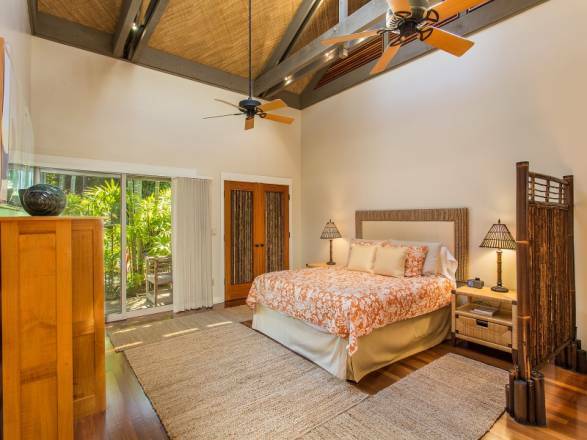 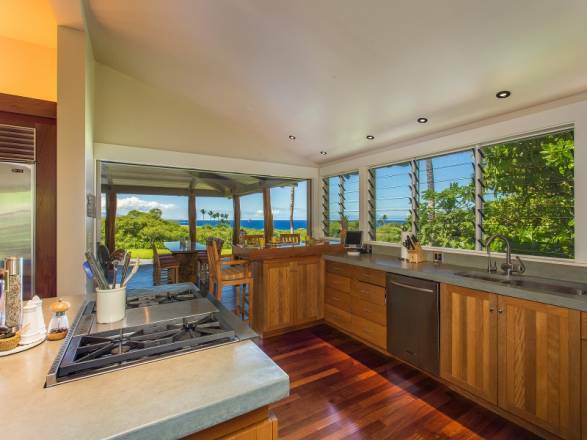 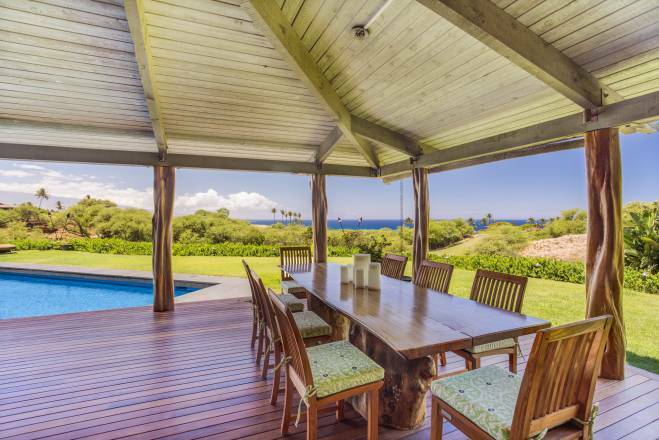 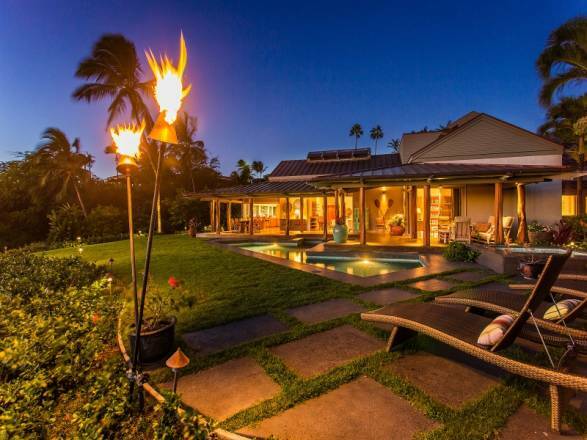 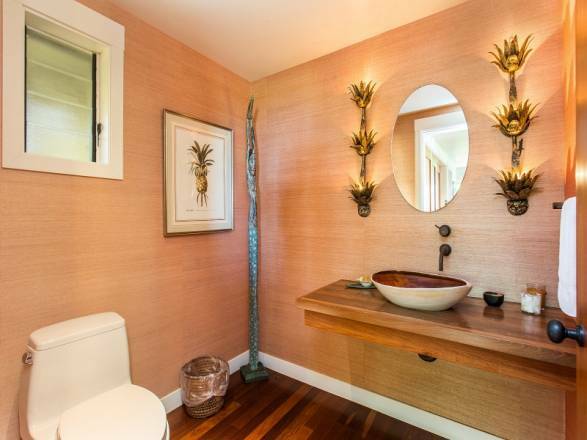 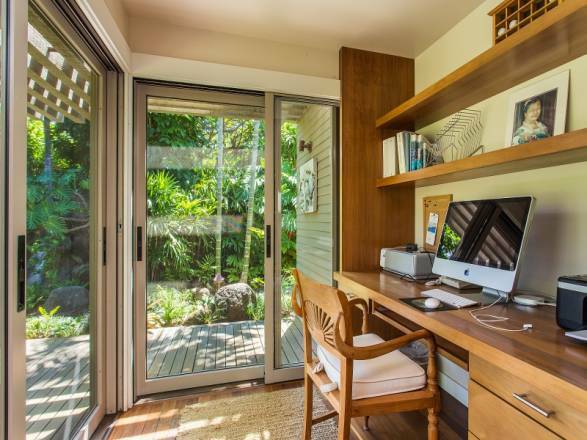 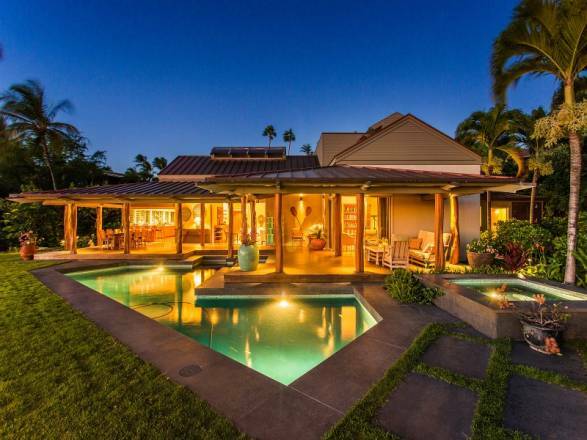 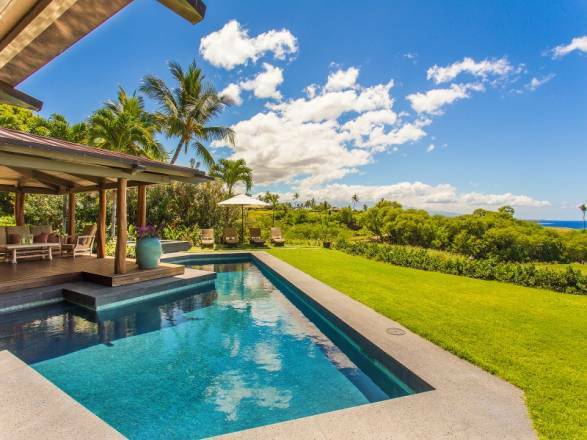 With pathways and water features surrounded by tropical landscape, this charming home has casual elegance and the unmistakable character that is Mauna Kea Resort. 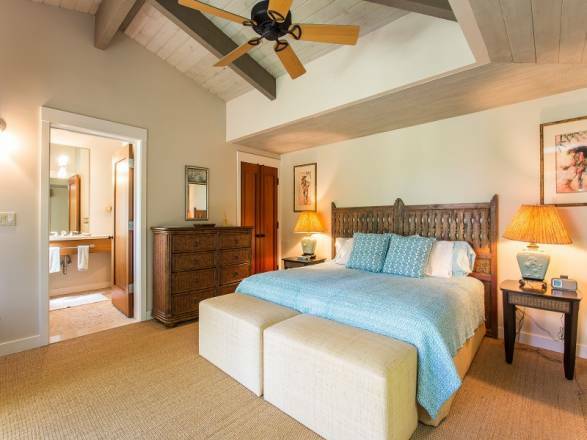 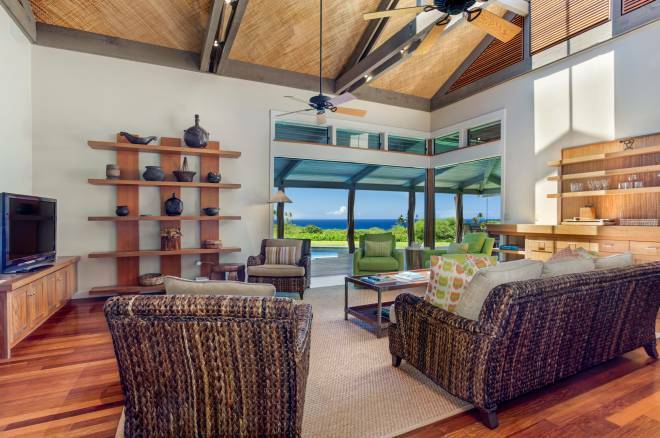 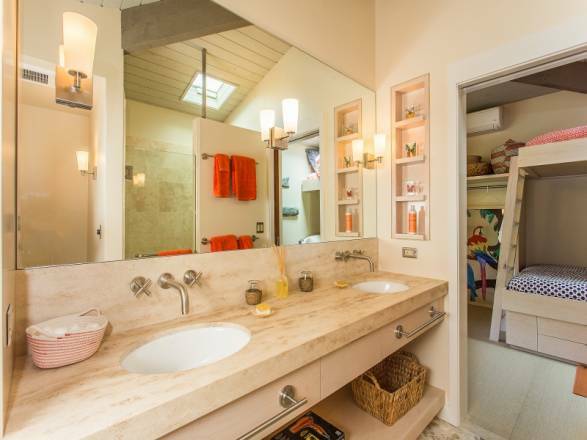 The main house has two master suites, a spacious gourmet kitchen with island and an eclectic and comfortable living room. 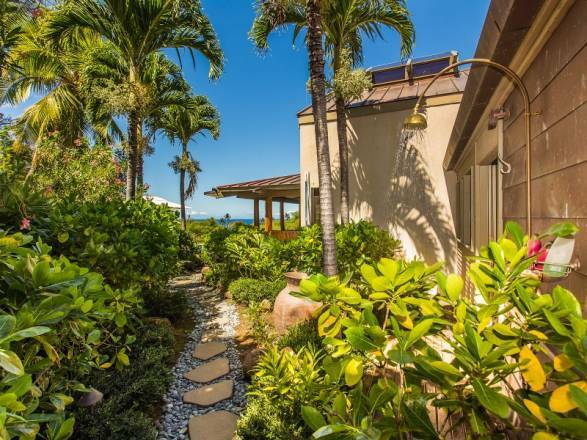 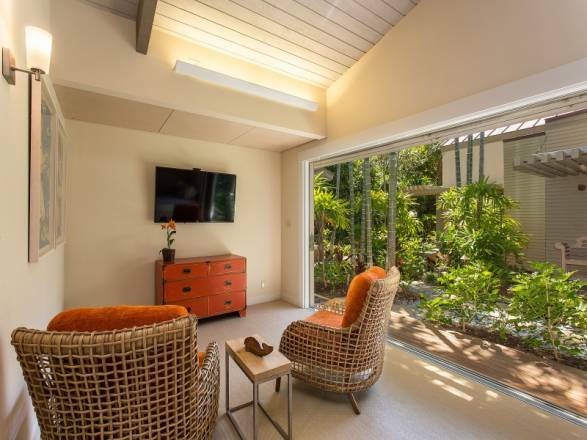 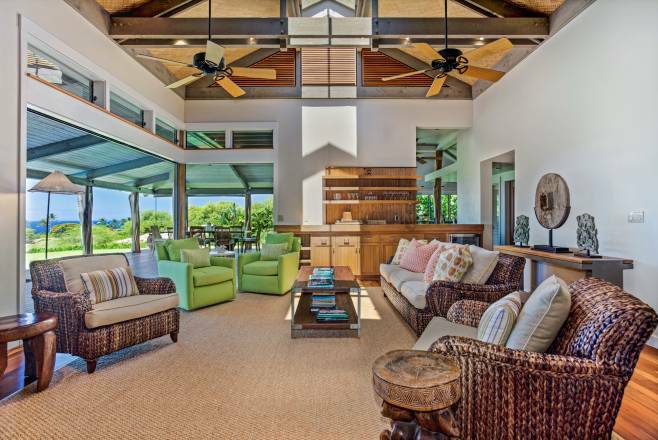 Also, a large wraparound island-style covered lanai provides a wonderful place to relax and enjoy spectacular views of the famous Robert Trent Jones Sr. golf course and the ocean beyond. 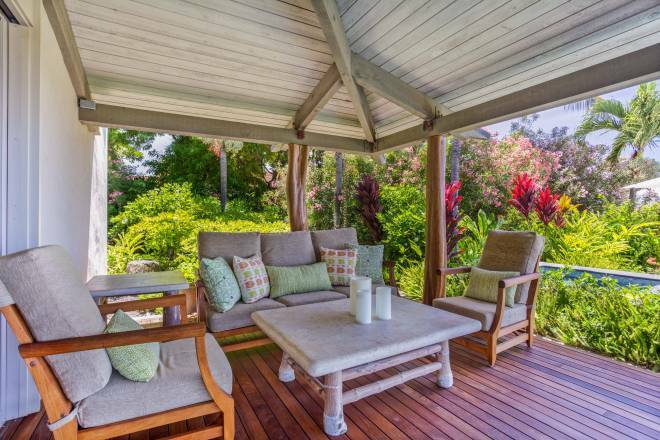 Perfect and protected indoor/outdoor living. 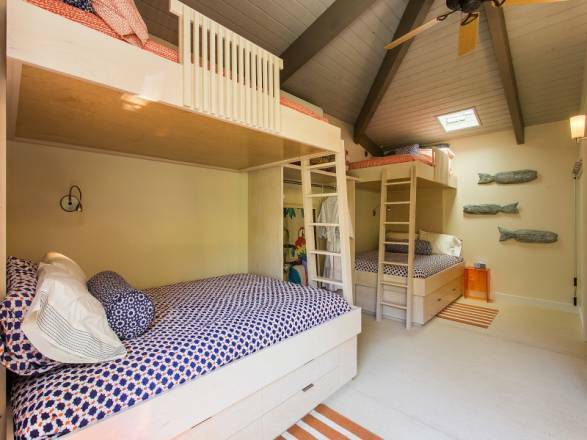 A separate, private king bedded suite is accessible through a tropical garden with waterfall and rounding out the bedrooms, is a fabulous and brand new bunk room that is comfortable for guests of all ages with 2 queen bunks on bottom and doubles on top. 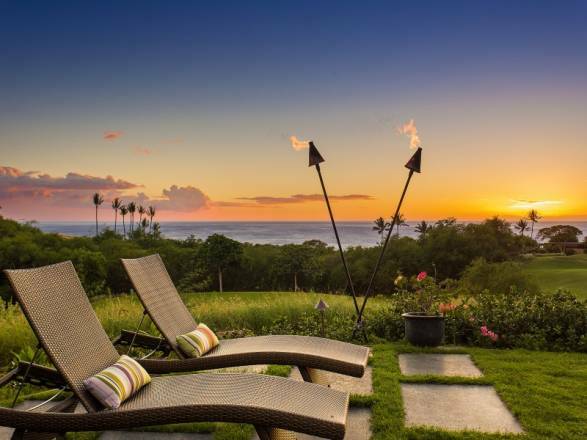 Access to full use of all facilities with signing privileges at the Mauna Kea Beach and Hapuna Beach Prince Hotels, two incomparable white sand crescent beaches, two world-class golf courses, oceanfront tennis, spa, fitness, restaurants and shops.